A monument itself cannot suffice for a holistic experience for any traveller. As Prime Minister Narendra Modi is forcefully making the case for "investments" and "Make in India", it's time to blend the two and make investments in what's already "Made in India". We need to invest in some of the country's topmost architectural marvels which give monetary returns despite precious little investments from the government. Ten out of our 119 ticketed monuments earn about Rs 90-100 crore annually, which is over 30 per cent of the culture ministry's allocation to the Archaeological Survey of India - the nation's custodian of heritage. Taj Mahal, our iconic monumental legacy, earns about Rs 25 crore annually and it takes care of all its expenses, including the salary of the local staff in the Agra Circle, security at the monument and other expenses. But it doesn't have a ready corpus fund of a couple of crores of rupees for any emergency maintenance or a restoration work promising a long-term facelift. I saw it myself when I went to the Taj earlier this month. The tourists were busy taking "selfies" and clicking photographs. But there were obstructions to the view - scaffoldings on a minaret and while half of Taj is restored to its original white marble texture, the other half is pale yellow. The funds for these restoration works come at its usual pace in our bureaucratic setting and those disbursing the funds have remote, if any, emotional connect with the monuments, even if these are "World Heritage Sites". I won't be surprised if the babu handling the file doesn't know what the World Heritage Status actually means. But does anyone care? You spend crores of rupees in advertising government schemes on a single day. But the cycle of apathy in disbursing funds, often trailing in files, is such that by the time funds get approved, the weather doesn't permit and when the season does permit, the damage worsens seeking enhanced budget, for which another revised quotation will do the desk-hopping. Taj, a Mughal marvel, shouldn't have to wait for funds. It is sad to see a monument, on which its legendary builder Shah Jahan spent over Rs 35 crore at that time without expecting any return, is waiting today for conservation funds for a facelift to attract more foreign tourists bringing in more dollars. If Rs 1 crore corpus fund promises to enhance the Taj ticket revenue by at least Rs 5 crore more than the current annual earning of Rs 25 crore in just two years, does it need more to win the case? The economic potential of these high-dollar earning monuments - Taj Mahal, Qutub Minar, Agra Fort, Humayun's Tomb, Fatehpur Sikri, Red Fort, Sun Temple, Khajuraho, Hampi and Mahabalipuram - need to be harnessed. Unlike globally acclaimed sites, even the Taj Mahal lacks basic services which could contribute towards revenue generation. With a state-of-the-art interpretation centre including cafe, site museum, book shop, exhibitions for children, the revenues earned could be manifold. More facilities mean more tourists. Through direct earnings at sites, employment creation, indirect revenues to hotels, transporters and restaurants, the nation's heritage can contribute to GDP if efforts are made to manage it in a manner similar to the Eiffel Tower where 17 million visit annually. 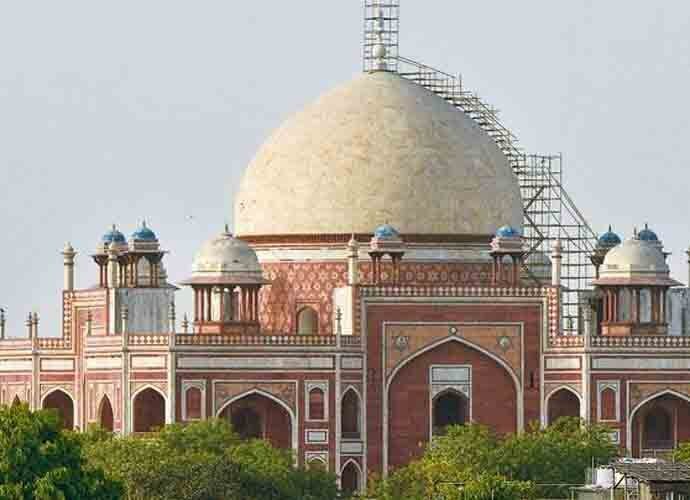 An example of a new look, the must-see Humayun's Tomb in New Delhi is the answer for managing India's high foot-fall monuments. We see Humayun's Tomb in every Bollywood movie shot in Delhi recently. It is all about experience resulting in changed perception. A monument itself cannot suffice for a holistic experience for any traveller. The surroundings and the facilities, including options for cuisine, culture showcase, shopping, hassle-free transportation, tout-less tours, sanitised toilets, parking and facilities for disabled and elderly, rank a monument higher in any tourist's itinerary. These things need a little investment and a ready fund. Only at Humayun's Tomb, an example has been set up by the Aga Khan Trust for Culture and with the support of the Tata Trusts and corporate foundations such as Indigo Airlines. Together, they have carried out significant conservation works leading to a near 100 per cent increase in tourists. Today, it earns Rs 7 crore annually and is only next to Agra Fort and Qutub Minar in earnings, with Taj Mahal at the top at Rs 25 crore. The model of investment blending philanthropy and expertise backed with a ready corpus fund for these monuments can be a game changer for how we manage and earn from our historic real estate.